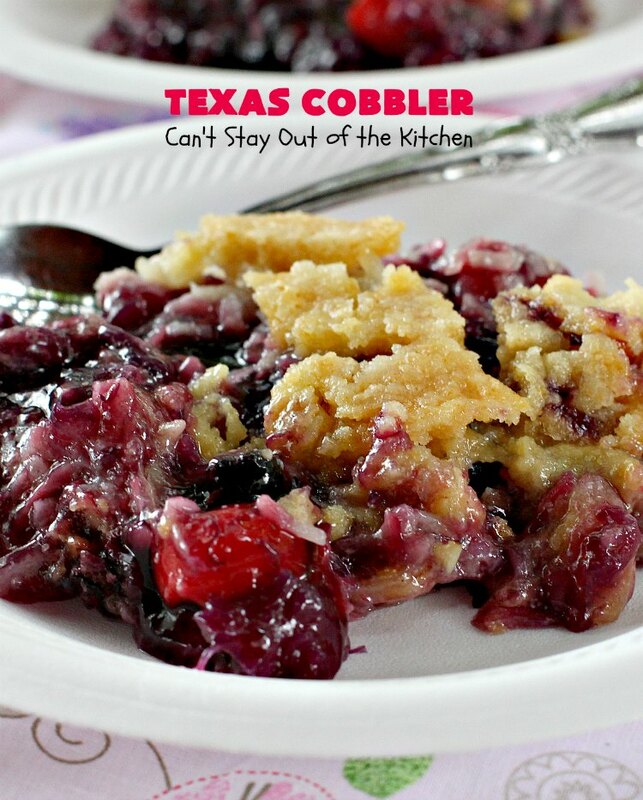 Successfully saved Texas Cobbler to your Calendar. You can also save the ingredients to your Grocery List. Spectacular dump cake-type dessert using blueberry and cherry pie fillings, crushed pineapple, almonds and coconut. Great for holiday entertaining and potlucks.